Donate your time and talent to help VIPS. Volunteers are an essential part of VIPS and our mission to serve young children with vision loss and their families. By giving your gift of time and talent to VIPS, you are giving something that is just as valuable as any monetary gift we may receive. Becoming a volunteer for VIPS means you believe in the work we do and the potential of the children we serve. If you are a civic-minded individual who is looking to give back to your community, consider becoming a volunteer for VIPS. All three VIPS locations have numerous volunteer opportunities throughout the year. Please inquire with each office for a current list of volunteer positions that are available. Make specific items for children as specified by VIPS Teachers such as coloring screens, computer paper box desks, etc.  Want to volunteer for VIPS Louisville? Contact the VIPS Louisville office to learn more about how you can help! Want to volunteer for VIPS Central Kentucky? Contact the VIPS Central Kentucky office to learn more about how you can help! Want to volunteer for VIPS Indiana? Contact the VIPS Indiana office to learn more about how you can help!